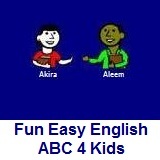 ﻿ Fun Easy English - new writing english alphabet for kids letter q. Hey kids, try writing the letter Q.
I once saw the Queen of England. You should be quiet in the library. She got a good grade on the quiz today.